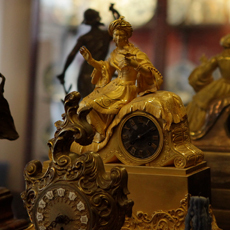 Kramer Arts & Antiques is a family owned business for over sixty years and a renowned collection on the Nieuwe Spiegelstraat. 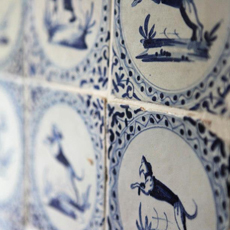 As official dealer of Royal Delft - De Porceleyne Fles you will find in our store new and antique Delft Blue ware. We also show you the biggest collection of Dutch tiles from the year 1600 until now, and the baardman jugs and the rummer glasses as you can see them in seventeenth century still lifes. 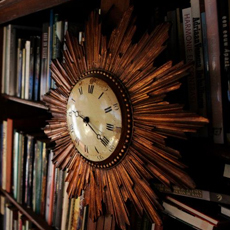 Furthermore we have a collection of glass- and crystal, jewellery, silverware, archaeological finds, antique clocks and watches, books prints and paintings, gold and silver, lamps, Asian porcelain and more. On our website we display only a part of our collection, at Prinsengracht 807 we introduce you a broad collection. We are experienced in sending fragile objects, worldwide. You are welcome to show us objects you would like to sell, by bringing them to our store, or by e-mailing us a picture for an indication. 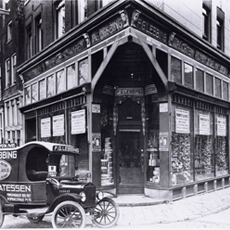 You will find our store in the heart of the Spiegel quarters of Amsterdam, opposite the Rijks Museum. If you have any inquiries? Please call +31 (20) 6261116 , we are pleased to advice you. Please feel free to visit us at Prinsengracht 807 in Amsterdam.